Follow RT for information about American politicians, including the senior US senator from Arizona John McCain. 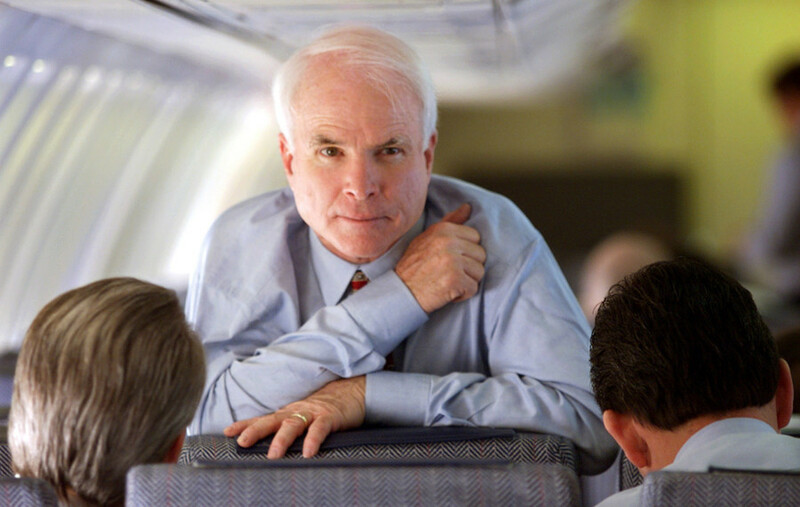 Get news on the background and career of John McCain. Before entering politics in 1982 John McCain served in the US military and even fought in the Vietnam War. McCain entered the Senate in 1987. In 2008 John McCain was a nominee for the Republican Party for the presidency of the US, however, he lost the contest to Barack Obama. Find the news and articles on RT with information on John McCain’s political views. John McCain primarily supports conservative stances. Check out RT.com to find the news about the statements of John McCain, many of which are quite controversial. In 2017 John McCain was diagnosed with brain cancer – get news and updates on his health. 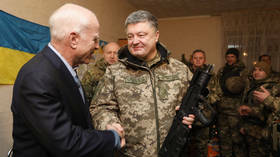 John McCain often disagrees on the way a number of US administrations, including the Trump administration, conduct military interventions around the world – particularly in Syria, Afghanistan and Iraq. 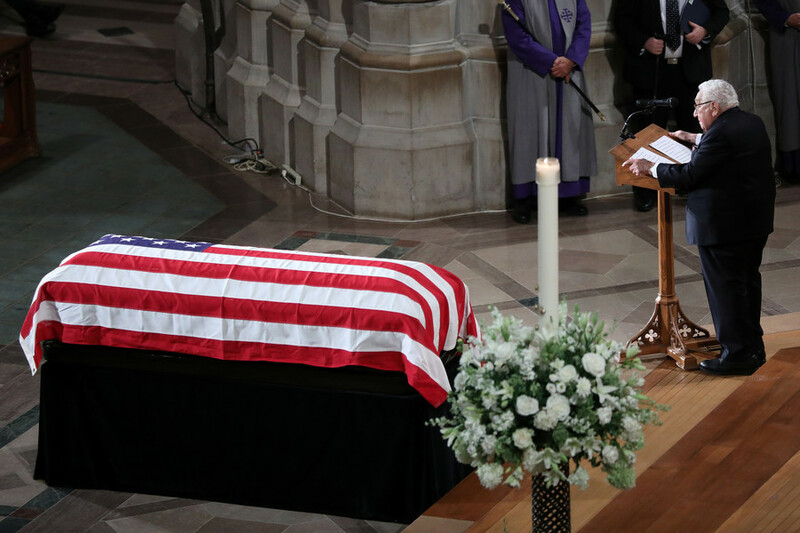 However, John McCain doesn’t oppose the idea of waging wars and ‘War on Terror.’ In August 2018 John McCain died at the age of 81. Find the news on that matter. In a tribute to the late US senator – and ardent warhawk – John McCain, Senate Minority Leader Chuck Schumer has suggested renaming one of the Senate buildings after him, in a move which may be surprisingly fitting. 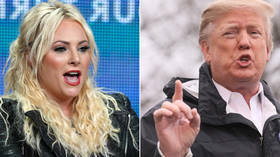 President Donald Trump and Meghan McCain - daughter of late Senator John McCain - got stuck into a fresh verbal brawl, after Trump hounded the dead senator for voting against repealing Obamacare and spreading rumors about him. Is new acting Pentagon boss a ‘fox in henhouse’ or easily bullied yes-man? Patrick Shanahan will become acting defense secretary as of January 1, after President Donald Trump hastened the departure of Jim ‘Mad Dog’ Mattis over the Syria withdrawal. But who is the former Boeing executive? 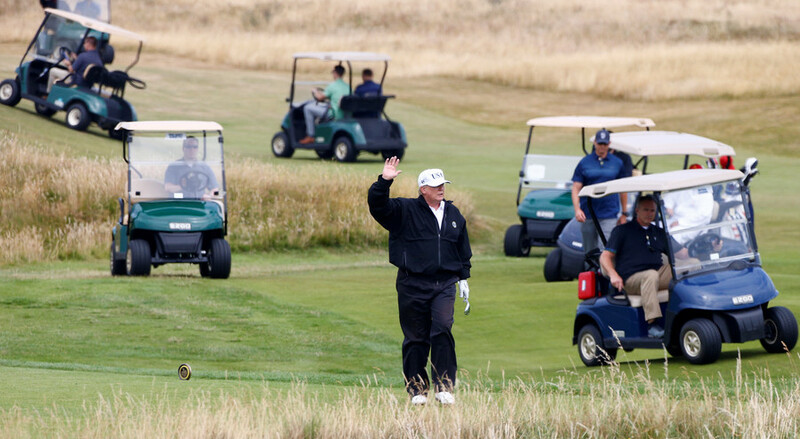 President Donald Trump, who was not invited to Senator John McCain’s funeral, hit the golf course during the memorial service, causing a social media storm in the process.